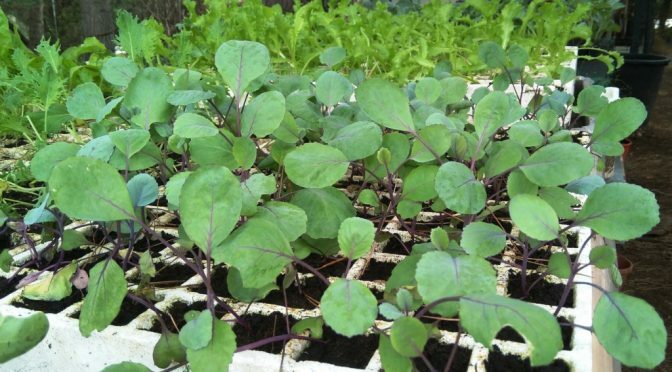 Autumn has just started and Es Viver, the nursery garden of GOB, has ecological, winter seedlings of local varieties available for the kitchen garden. Now is the time to plant lettuces, endives, chard and cabbage…The local varieties allow us to harvest quality goods and to manage our kitchen gardens with practices that are environmentally friendly. Es Viver sells aromatic and kitchen plants as well as traditional flowering plants of Menorca that are indigenous and, therefore, adapt to the island’s conditions when growing in our gardens. Es Viver is open on Fridays and Saturdays from 10.00 until 13.30. It is on the airport road at the side of Mestral.